La descrizione di questo hotel al momento non è disponibile in italiano. There was a time in the not too distant past when reaching a tropical jungle paradise took a woeful lot of doing. 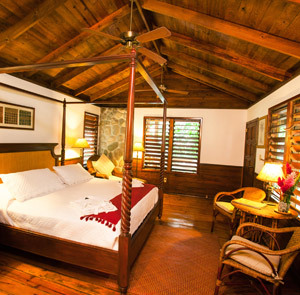 Today you can have an early breakfast, board a morning flight from a major American city, and arrive in time for a mid-afternoon lunch at a place like Pico Bonito, where that hammock on the private verandah of your cabin is surrounded by four-hundred acres of wilderness on the Caribbean coast. And it’s no slouch of a wilderness; it’s a wilderness sluiced with mountain-fed rivers, punctuated by waterfalls dropping into swimming holes at the bottoms of canyons, and covered in a canopy ornamented with birds and butterflies — the kind of thing mid-winter screen savers are made of. None of the natural splendor would do a guest much good if Pico Bonito hadn’t also carved out miles and miles of hiking trails, with the occasional lookout tower for spotting birds and wildlife. There’s an expert staff to guide you through it all, too, whether you’re a serious birder (Audubon called Pico Bonito a place “where dreams come true”) or just want to go on a pleasant walk amidst the flora and fauna. The options for accessing the natural world go on and on — boat trips through a manatee reserve, snorkeling the world’s second-largest barrier reef, whitewater rafting a jungle river, to name just some of the aquatic options. The cabins are simple — lots of exposed wood, slatted windows, light filtering in through the canopy — but spacious and appropriate for the surroundings. What’s lacking in brass fittings and marble vanities is more than made up for by coastal breezes and the ever-present sounds of the jungle. 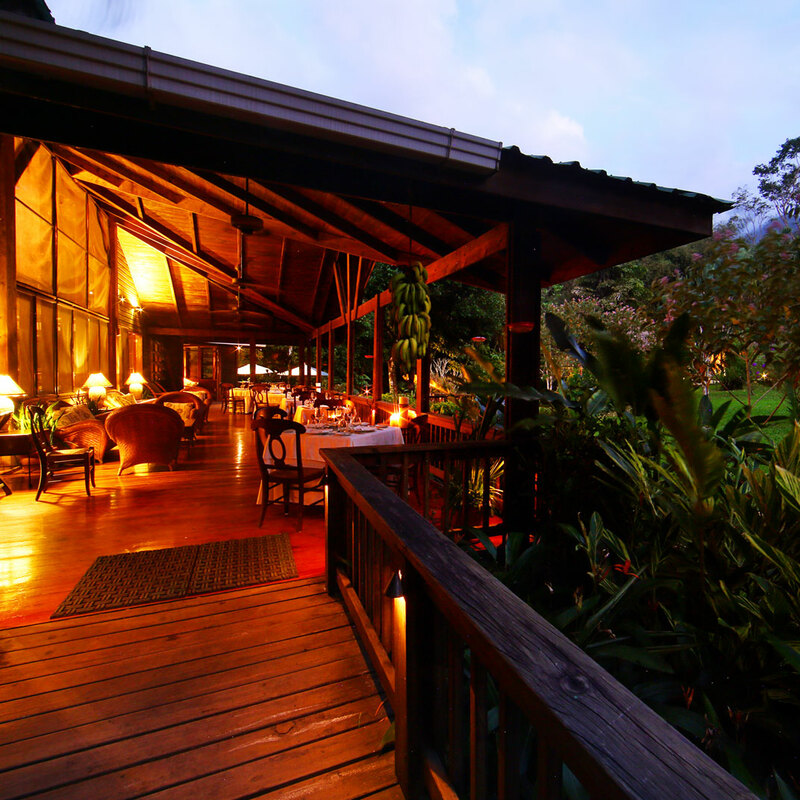 Same goes for the restaurant, where the atmosphere is casual, unpretentious, and perfectly suited to the surroundings — tropical gardens below, birdsong all around, fresh seafood and local veggies on the plate. When you’ve got ingredients like this, it doesn’t take much finessing to make the recipe work. 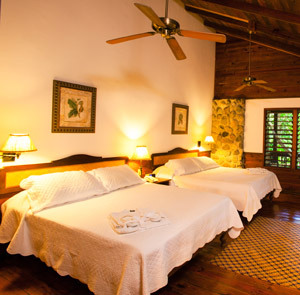 Lodge at Pico Bonito is 2.5 hours away, by car, from San Pedro Sula airport. There is also a 30-minute commuter flight to La Ceiba, from San Pedro Sula airport, where free transfer is provided. Please contact CustomerService@TabletHotels.com for more information or assistance with transfers. Rates are subject to a 19pct govt. tax and a 10pct service.